Thanksgiving Day is almost here for our readers in the United States and those who celebrate this holiday around the world. As we think of many blessings for which to give thanks, quite a few come to mind from Guatemala! With Guatemala in mind, what’s on your “thankful for” list? The Vital Words Communications Team is also thankful for all of you who have partnered with us as we seek to help healthcare professionals, translators and many others to serve Guatemalans well. ¡Mil gracias! This entry was posted in Inspiration and tagged Guatemala, life in Guatemala, thankful for list, Thanksgiving on November 22, 2017 by stevenhammermd. 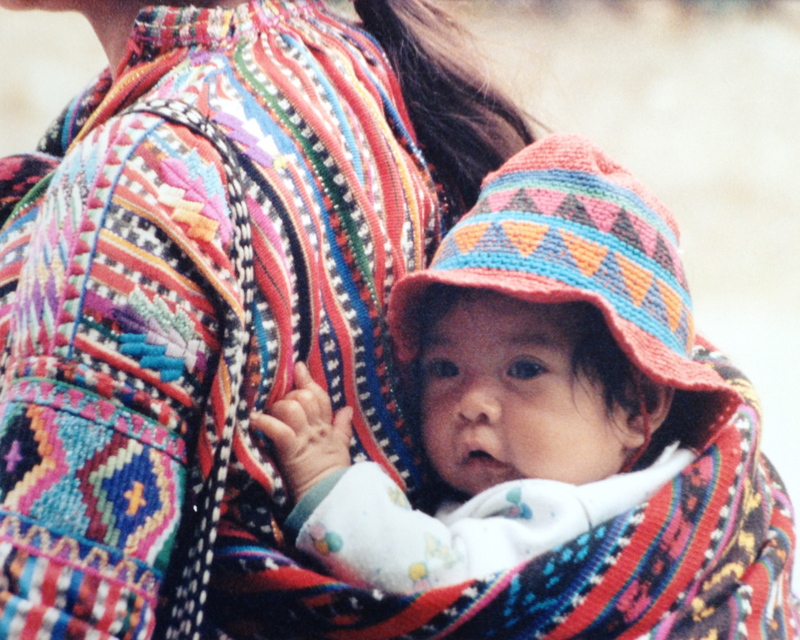 Do you know anyone heading off on a medical mission trip to Guatemala this summer? How about someone who just graduated with a degree in Spanish? Or maybe someone who is going to be studying Spanish or medicine this coming school year? Whatever the celebration, don’t forget that Understanding the Guatemalan Patient could be un regalito perfecto – a perfect little gift! Order your copy today on Amazon or contact us for bulk pricing. This entry was posted in Inspiration, Updates/News and tagged celebrations, Father's Day, gifts, Guatemala, medical mission trip, regalo on June 11, 2017 by stevenhammermd. ¡Feliz Día de la Independencia! Today we celebrate “15 de septiembre” the Independence Day of Guatemala. Hoy celebramos el 15 de septiembre, el día de la independencia de Guatemala. ¡Vive Guatemala! Y que Dios te bendiga. This entry was posted in Guatemala, Updates/News and tagged 15 de septiembre, celebrations, Guatemala, Guatemalan holidays, independence day, Latin America on September 15, 2016 by stevenhammermd. Exciting news! Understanding the Guatemalan Patient is now available in Guatemala thanks to Casa del Alfarero (Potter’s House) in zona 3, Guatemala City! 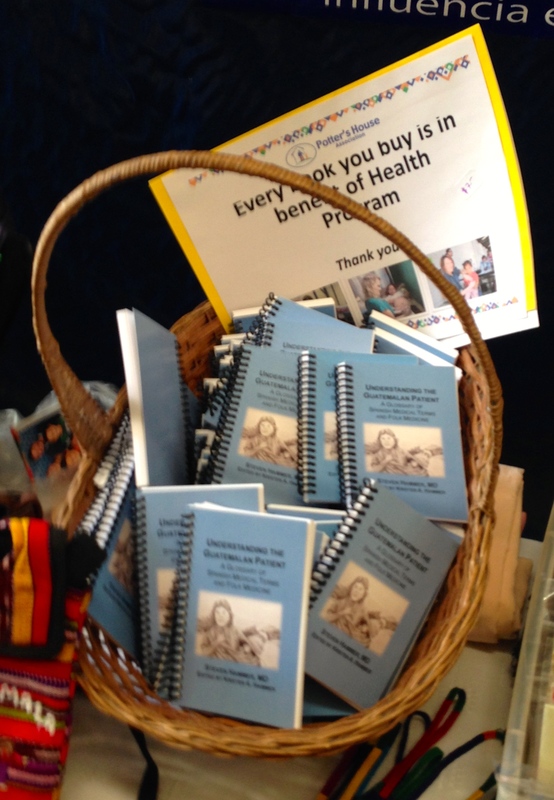 Even better, proceeds of each book purchased through Potter’s House will support their health program. For contact information or to learn more about the work at Potter’s House, visit their “Contact Us” page: http://pottershouse.org.gt/contact-us/ . This entry was posted in Updates/News and tagged bilingual, Casa del Alfarero, Guatemala, Guatemala City, Latin American health program, medical missions, mission teams, news, Potter's House, Spanish-speaking healthcare provider, teamwork on March 7, 2016 by stevenhammermd. You start your day early and arrive at Tikal while morning’s cool touch still covers the jungle. As you follow your guide down the dirt trails, birds greet you with their chirps and whistles. You pass the great ceiba tree, the national tree of Guatemala. If you look down, perhaps you’ll see butterflies gathered around a puddle or ants intent on a destination. Once you reach the Grand Plaza with the two temples facing each other, you take a break as you also take in the history and scenery around you. Then you’re off to reach Temple IV further on in the jungle. Not fully excavated, Temple IV can be climbed by wooden ladder-steps. Somehow these look safer than the steep, uneven stone steps you saw at the Grand Plaza. As you sit there, you welcome a sense of wonder. Wonder over the beauty before your eyes. Wonder over the diversity of the animals and plants you’ve seen. Wonder over the intelligence and skill of a people who built and understood so much centuries ago. As you make your way down the wooden steps and drive to a hotel for dinner, you certainly have plenty to think about. I have been to Tikal 22 times and there was always something to wonder over. This part of Guatemala reflects the rest of the country in that it is a place of wonder. You could say it’s wonder-full. This entry was posted in Guatemala, Inspiration, Travel and tagged ceiba tree, Guatemala, howler monkey, inspiration, jungle, Latin American history, Mayan ruins, Tikal, travel, wonder on October 20, 2015 by stevenhammermd.